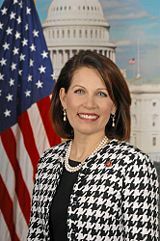 More Michele, more of the time With a feature story in the New York Times, talk show appearances, and continuing 24/7 coverage by local media, Michele Bachmann is riding high. This week’s crop includes reports that Bachmann has one of the worst show-up-for-voting records in the House of Representatives, that she has $600,000 in her campaign fund, that opposing candidates are “tip-toeing” around health care issues, that she’s talking to Glenn Beck (again), that she’s calling for the firing of Kevin Jennings, and that she has appeared on Glenn Beck’s show three times in September and three times in the first two weeks of October. Any Michele Bachmann story guarantees a bump in readership numbers, both from those on the right who love her and those on the left who hate her, but can’t pass up one more Michele story. Michele stories drive ratings, and that means the stories will just keep coming. What do MN unemployment numbers mean? Minnesota’s unemployment rate dropped by 0.7 percent to 7.3 percent in September, but the state also lost 7,900 jobs. How does that work? About 15,000 more Minnesotans were employed in September, but there were nearly 19,000 fewer who were unemployed. That means that 4,000 people left the labor force, reducing the state’s labor force participation rate to 72.3 percent last month. The labor force participation rate is the percentage of working-age people in Minnesota who are employed, or unemployed and looking for a job. “This is a big change, and the concern is that anytime you have a big change in a number that comes from a relatively small survey, it may just be a problem with the sample,” Stinson said. A similarly low number next month would confirm the unemployment rate has fallen this far, he added. While the declining unemployment rate is an encouraging sign, it also means thousands of the state’s unemployed will be eligible for fewer weeks of benefits. McElroy said the U.S. Department of Labor is expected to certify the new numbers next week, which would reduce the maximum number of weeks of unemployment benefits from 79 to 72 weeks. Up to an estimated 7,000 people could be affected by the change, 4,200 of them starting Nov. 14. Minnesota’s looming healthcare disaster With General Assistance Medical Care (GAMC) ending on March 1, by the governor’s decree, about 35,000 Minnesotans will be left without health care coverage. Casey Selix details the impact in MinnPost today, ranging from the financial wallop to hospitals to loss of desperately-needed prescription medications for individuals. GAMC covers individuals making less than 75 percent of federal poverty guidelines, which would be about $8,000 for a single adult. Many make far less than that. Some 28 percent are homeless. Just over 60 percent have mental health and/or chemical dependency diagnoses. “They’re always complaining about panhandling and people causing disturbances,” Nilsson said, “and I’ve been saying that if you think we have an economic development issue now, just wait until our folks can’t get their anti-psychotic meds. There will be a lot more people talking to themselves” on March 1. While Pawlenty has said that GAMC recipients should enroll in MinnesotaCare, advocates say that’s no answer. MinnesotaCare charges both premiums and co-pays, and the people receiving GAMC have no money for either. Meanwhile, costs for another Minnesota health care program are skyrocketing. Politics in Minnesota examines the state’s high-risk insurance pool – a nonprofit called the Minnesota Comprehensive Health Association (MCHA). While enrollment is holding steady at about 28,000, costs are increasing and MCHA’s funding base is eroding.